General Atomics Aeronautical Systems, Inc. has been notified that the Government of Belgium has approved Belgian Defense to begin negotiations with the U.S. Government to acquire the MQ-9B SkyGuardian Unmanned Aircraft System (UAS). 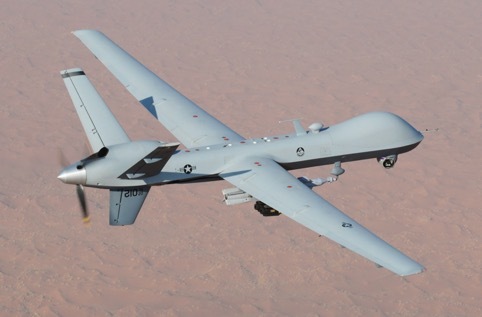 The unmanned aircraft system (UAS) commonly known as the Predator B or MQ-9 Reaper is a multi-mission platform that is capable of more than those monikers suggest. “We called our new aircraft Sky Guardian,” said Christopher Ames, GA-ASI regional vice president for Europe and NATO. “We’re trying to get away from the Predator and the Reaper and names like that because it suggests the aircraft performs only in a strike capacity.” As consequence, the aircraft the U.S. and UK air forces carries an assortment of AGM-114 Hellfire missiles, GBU-12 Paveway II laser-guided bombs and as of May, the GBU-38 Joint Direct Attack Munition. The Sky Guardian has a 13-foot longer wingspan (79 feet) than the MQ-9/Predator B, nearly double the operational endurance (40 hours), a greater payload capacity and features such as auto takeoff and landing, all-weather capability, airframe de-icing, lightning protection and collision avoidance system. The Sky Guardian’s “airline configuration” avionics suite, consisting of TCAS, ADS-B and IFF transponders, protects against midair collisions with other transponder-equipped aircraft; the addition of GA-ASI’s Due Regard radar around 2020 will protect against non-transponding, non-cooperative aircraft and rounds out the “detect and avoid” capability aviation authorities believe UAS must have to routinely operate in civilian airspace and over international waters. 11 for the Royal Air Force with expects deliveries from 2019 through 2023 and entry into service targeted for 2021. Also Denmark and The Netherlands are possible new customers in Europe. France has taken delivery of six MQ-9 Block 1 aircraft; it plans to acquire another six improved Block 5 models in 2019. The Block 5 variant has a standard 66-foot wingspan, with increased power-generation capability, an open-system architecture to accommodate multiple payloads, and new landing gear to support an increased gross takeoff weight. Spain plans to acquire four Block 5 aircraft by 2020.